Women entrepreneurs are in need of funding to support their communities – but not just locally. March 8th is International Women’s Day and the focus on women entrepreneurs is going global with a campaign from Microloan agency Kiva to Crowdfund $1 million in loans for women establishing new small businesses worldwide. Myrian was no longer willing to put her employers’ needs before her children. 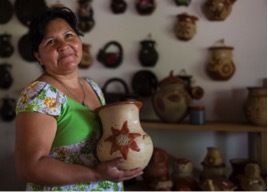 She took out a loan to start her own ceramics business — following both a passion for pottery and a dream of working from home, with her children. She was able to buy needed supplies and was soon able to make her own small kiln. Myrian saw other women with the similar issues, so she assembled a group of creative women, who together took out a Kiva loan. Myrian didn’t get the opportunity to attend high school, but the newly generated cash-flow from pottery sales is now helping her kids to attend college. Crowdfunding has enabled her to fund operation of a microenterprise that started as only a dream. Help the many women dreaming big like Myrian at Kiva.org/Her This program helps women to supplement the income of their family and encourages entrepreneurship by young girls who see these women setting an example. As their businesses and incomes grow, children’s health and education improve, jobs are created, poverty and hunger is reduced for everyone, and countries become stronger. Yet, the economic potential of women entrepreneurs globally remains largely untapped. The lack of access to finance is a persistent barrier that limits women’s ability to start or expand their businesses and fully participate in economic, social, and political life. This holds back women, their families, communities, and entire economies. $1 million in 1 week is doubtless a substantial goal, but the beauty of crowdfunding is that small contributions from many thousands of everyday people can support hundreds of women operating businesses to support their families and improve their communities in some of the poorest parts of the world. The contribution you make is a loan, not a donation and Kiva is a well-respected organization that makes this possible. You get paid back with interest on any loan you choose to make through Kiva. Because Kiva borrowers pay back their loans at a 98% rate, your money doesn’t actually cost you anything. When those loans are repaid, it can be put back to work to help another woman of your choice or you can pocket it. I’ve done this myself and love seeing the stories of the types of businesses the women start and how they become more self-sufficient and eventually successful. Here are some stats from Kiva to demonstrate the effectiveness of lending to women entrepreneurs through their program. ●	Women reinvest 80% of their income in the wellbeing and education of their families. ●	With the same amount of land, women can increase crop yields by 20%, reducing world hunger for 150 million people. ●	Women business owners set an example for the next generation of students and leaders. They blaze the trails of opportunity for generations to come. 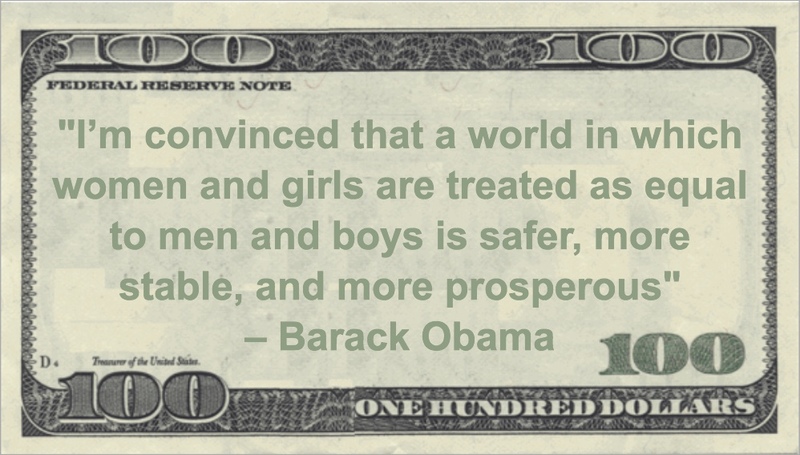 ●	There is a significant gender gap in financial inclusion around the world. This applies to account ownership, savings and credit. Please consider helping to make International Women’s Day a winner for women entrepreneurs at Kiva.org/Her and help to extend equality around the world.